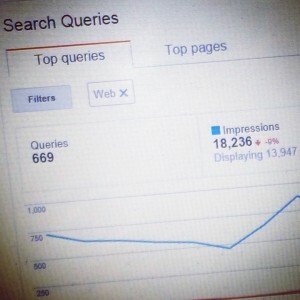 Google took away our sources with Not Provided, but luckily they gave us Webmaster Tools Search Queries to compensate. This works really well for general SEO ranking for keyphrases. Unfortunately it doesn’t fare so well for Local SEO. It doesn’t give ranking data? It does. You can sort by impressions, clicks, ranking and keyword to see what’s most effective for your site. 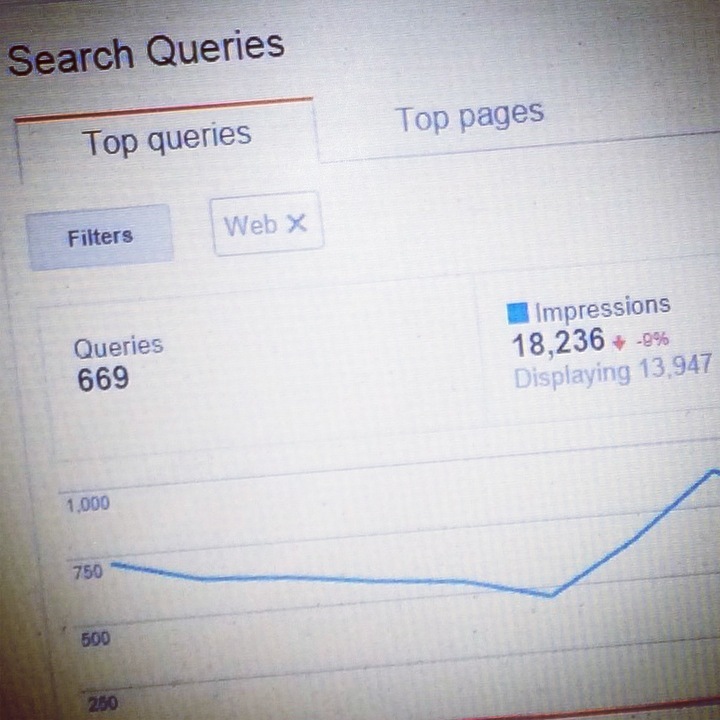 This should give you an idea of what keyphrases are sending the most traffic to your site. The complexity comes when you consider what’s going on with local results vs. organic. Not really. Let’s first look at Organic. When Google gets an organic search from a user it then returns what it thinks is most relevant to that person and their search. If you as an online marketer have created useful relevant content targeted at that search, your content should rank well for that search. And, you will be able to see that reflected in Webmaster Tools. The core of that information will tell you what Google’s relevancy algorithm thinks about your content. It does not tell you what the user preference and authority algorithmic parameters think of your content. Luckily these are minor factors in the overall ranking system. How is local search different? Example 1: A coffee shop in Downtown Portland, OR will not show up in search results for a user in Seattle, WA. Example 2: A Deli that serves 20 varieties of coffee will not rank for Coffee Shop searches if they don’t have Coffee Shop as one of their MyBusiness Categories. So how does Webmaster Tools fit into this? The Search Query report only shows searches you appear in, and local searches are skewed towards those near your location. The closer they are the higher your average rank. And there’s the rub. Since you only show up by proximity, your rankings will always be high for results you show up in. A local site does not average it’s ranking with searches worldwide. It also doesn’t have to compete with thousands of other sites vying for the same results. At most you will have to compete with a few dozen businesses. When your MyBusiness page doesn’t rank, your site deoesn’t rank and the local block only contains 7 results. So if there are 7 better results, you drop out of the running. So your rank will be 7 or less? In general, yes. Most things a local site will rank for will generate an average of 7 or less. I’ve seen some that are higher, but those searches tend to get much less traffic and the site overall will show a very low average ranking. This is deceptive, mostly because the client will have trouble reproducing the results. Let’s try this: The client thinks they should rank for “lawyer city, state” and most of their customers would probably search for that keyphrase. You put that query into Google, setting your search location as that city & state. They don’t show up. Webmaster Tools shows an average rank 2.3 for that phrase. The client does the same thing and they don’t show up. What’s wrong? Nothing. When a user near the address does a search on their phone, the lawyer comes up as #1. Someone in the same town might not see him at all. The average comes out to 2.3. So the search query table is skewed? For local search? Yes, and it’s hard to compensate for. I’ll let you know if I find a way. Till then, just keep on doing what you should and the client should get more traffic. Yay Google.